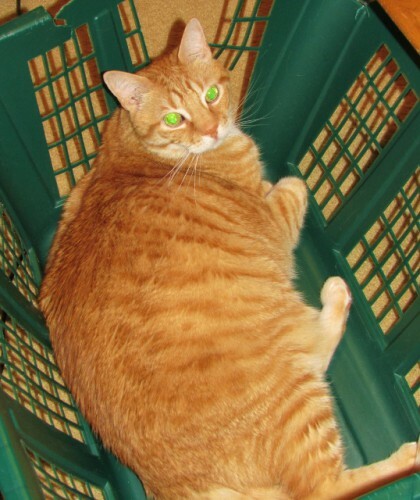 Do All Kitties Loves Baskets? 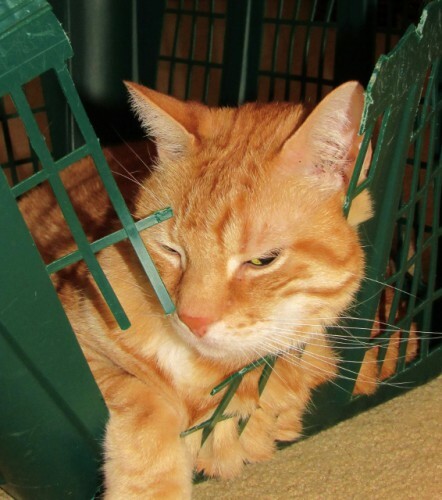 Seriously now – does this look comfortable!? The second morning of our Girl’s Weekend, we planned for a relatively lazy day. The girls wanted to revisit a winery we had been to the previous year, and go shopping downtown, and that was pretty much the extent of the plan. I think we all kind of planned to sleep in, but it didn’t really happen that way. I was up at about 7, unable to sleep any more – that’s what happens when you share rooms right?! We got ready and walked to the main drag of Chelan to check out some of the shops. The kitchen shop is always a big hit, as well as Bear Foods Natural Market. There we got some cheeses, fruits and crackers for an appetizer later in the day (we are good at planning ahead!). We checked out The Black Dog Frame Shop; it has a mix of vintage items with shabby chic and vintage-look new items – one of those places that make you think you would totally redecorate your whole house if only you had the time and money. True to its name, it also has a framing business, and lots of neat posters and artwork. I found a vintage look tablecloth with a whimsical map of the United States in bold, primary colors for my mom. Best find of the weekend! We got lunch at Chelan Teriyaki, a tiny place just off the main street. You build your own teriyaki meal here. You can have traditional teriyaki or a plate with yakisoba noodles, and you choose your protein and sauce. It is served with a fresh, house-made Asian slaw that we all enjoyed. They also make their own infused waters which are free with your meal. Delicious! Chicken Yakisoba at Chelan Teriyaki – Delicious! After lunch, we picked up the car and headed out to Hard Row to Hoe Winery. We had visited the previous year and had a great time, so all of us wanted to go back. The place was lively, with a Bachelorette party group right next to us. I know I’m getting old, because these ladies, in their early 20s, were all dressed in matching super tight short shorts and tie dyed tank tops with lots of cleavage popping out. Even in my younger years, I would not have felt comfortable in that! But, to each their own. The four of us at Hard Row to Hoe Vineyards. Aren’t we cute! After the tasting, we each purchased a glass of wine and went outside to enjoy it on the patio. We relaxed in the sunshine and had more girl talk! But we didn’t want to stay too long, because the lake was calling us! There was also some lively discussion, fueled by wine of course, about obligations to society, how much money is enough, and what is the appropriate age to retire (I said 33, but I’m behind!). It was wonderful having the opportunity to just relax, with no agenda, no timeline, and no dishwasher to unload. Pure bliss. We stayed until the sun was sinking lower and the temperature threatened to fall enough to force us to put on shorts. 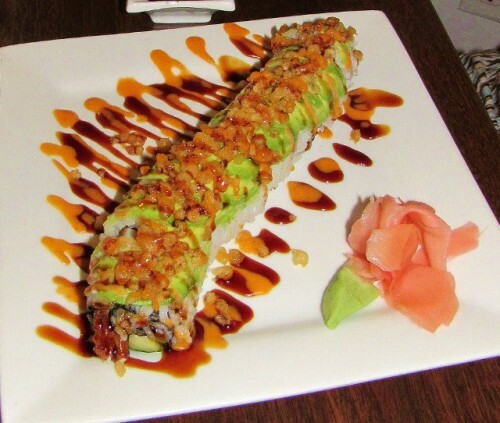 After sunning ourselves – we got dressed and headed over to Maki Sushi, one of our favorite restaurants in Chelan. As usual, it was phenomenal. We split an order of lumpia, and each got some sushi rolls for dinner. Angela and Renee split some sake, but Allysa and I stuck with wine. Divine. Angela wasn’t ready to go home yet, so we headed over to the Mexican restaurant for margaritas – I switched to tea at that point – I think a margarita would have done me in! With all that, we still were back in the suite about 9:30 or 10 pm, and watched a cheesy movie about love in the Napa Wine Country during the Second World War. Renee got mad at me because I was making fun of the cheese – but seriously – the ending was super-cheesy! Think dancing/fanning the grape vines with butterfly wings in one scene and another obligatory scene with the hot guy with no shirt, smeared with soot, ripping the charred grape vine from the earth with his bare hands… If that doesn’t make a girl swoon, I don’t know what would – HA! I can’t remember the title though – it starred Keanu Reeves. Tonight I was feeling like having something a little different, so I made a Moscow Mule! The Moscow Mule was “invented” in the 1940s, at a time when Vodka was considered a commoner’s drink, less prestigious than Gin. The story goes that the owner of Smirnoff Vodka, a Ginger Beer manufacturer and a copper mug maker all got together and dreamed up a cocktail that would help all of them offload their unpopular products. A marketing campaign traveled around the United States, showing bartenders how to whip up the concoction consisting of vodka, ginger beer and lime juice (some recipes call for simple syrup and mint sprigs as well). The salesman would take two Polaroid pictures of the bartender with the Moscow Mule in the copper mug and the bottle of Smirnoff Vodka. He would leave one picture with the bartender and took one with him, to show the next bartender that others were making the drink. The Moscow Mule was quite popular in the 1950s, but gradually fell out of favor in the 1960s. The drink is enjoying a resurgence today. So, here’s to the weekend – make yourself a Moscow Mule! Here’s my recipe, but you can substitute other brands. 1 bottle Fever Tree Ginger Beer – Each bottle is 6.8 oz, so if you use a 12 oz ginger beer, you may want to use 2 oz. of vodka. Reed’s Ginger Beer will make for a sweeter drink. Serve in a copper mug – or if you don’t have one, use any old glass you’ve got, like I did! My Moscow Mule – Delicious! Simple and easy – enjoy! What better way is there to spend a weekend than with girlfriends!? One weekend in May, I got an opportunity to do just that. The week before was spent in Yakima, WA at a work meeting, then a conference. Several of my former coworkers were also at the conference, so we made plans to head to Chelan, WA for the weekend. We carpooled up from Yakima, making several stops along the way. Unfortunately for all of us, our last conference sessions were terrible. We were all in the throes of boredom, so we did what any reasonable person would do – we texted back and forth about where to get lunch and checked out online menus. I wasn’t sold on getting a smart phone but I find it comes in super handy! Sadly, my boring session went overtime! We were so hungry that we resorted to eating stale mints I found at the bottom of my purse – and we were so bored we played Hangman. After we were finally free, we high-tailed it to the The Sub Shop – delicious, simple food that arrived quickly and quenched our starvation. And we arrived moments before the insane lunch rush. 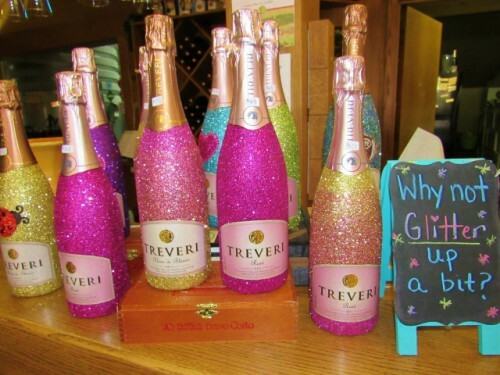 I blogged about my failed attempt to visit Treveri Cellars over the winter, and I was anxious to actually get there. When I suggested a stop along the way, of course my friends said yes! The four of us visited and did their sparkling wine tasting. The wines are wonderful! There was something for everyone, although I did discover that my taste is for a drier sparkling wine than my friends, who like the sweet Demi-Secs. 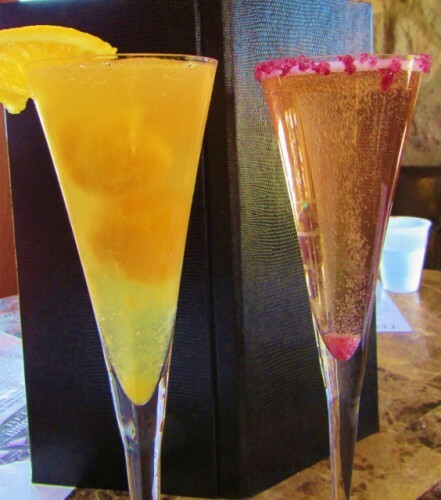 After our tasting, we ordered two sparkling wine cocktails to share. We had the Sorbet Glace – with Treveri Gewürztraminer and a choice of sorbet flavors. We also tried the Sugar Plum Fairy – Treveri Riesling, Amaretto flavor, and a dash of bitters; completed with a sugared rim. Both were good, but the Sugar Plum Fairy was hands down my favorite. The table was split on the preference, with some of my friends preferring the Sorbet Glace, which was sweeter. Check out these awesome bottles! We strongly considered taking our cocktails out onto the patio to sit in the sunshine, but were glad we didn’t when the lawnmower roared by, kicking up a ton of dust onto the patio seating. Note to wineries – please mow the lawn before you open for the day! No visit to Yakima is complete without a stop at this gem – I love this place! Three floors of shopping – the first floor dedicated to wine, fruit and other food items, and the second two floors packed with antiques. I always enjoy a stop there, and I can even get Jon to go without putting up a fuss! I didn’t find anything that spoke to me this time, but not for lack of trying. Ohme Gardens was another place that I suggested we stop at. Jon and I visited Ohme Gardens last September when we were in Wenatchee, and it was stunning. I wanted to come back and see the spring flowers. We got there about an hour before closing, so while we couldn’t dawdle, we felt like we were able to see what we wanted to see. The flowers were stunning, and it was wonderful to enjoy this treasure with friends, exploring all the nooks and crannies that were so lovingly created by the Ohme family. Not to mention it was great to stretch our legs hiking up and down the hills and stepping stones. Ohme Gardens is definitely an attraction not to be missed in Wenatchee. Abstract photo! Goldfish in a pond at Ohme Gardens. A stepping stone path at Ohme Gardens. My friend Allysa and me. More, and different, purple flowers. 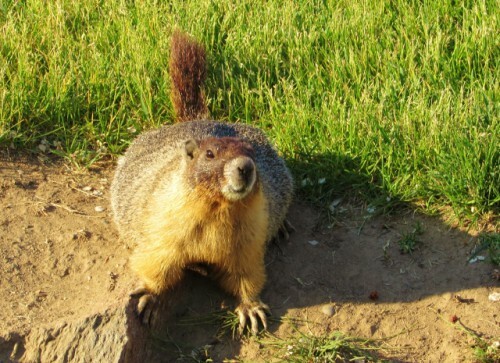 After visiting Ohme Gardens, we saw a Groundhog on the way out of the park, chilling by the side of the road after emerging from a culvert. We stopped and backed the car up so we could get a better view, and this little guy just posed for picture after picture, with no fear of us at all! I wonder if he was waiting for us to feed him. We didn’t though, and after my camera battery died we got on our way to Chelan. And with that, we had arrived – we stayed in the same room suite again that we had the year before – a two bedroom with a kitchen right on the lake. We checked in and had just a moment to set down our things and have a quick glass of wine when we were greeted by our first visitor – our former coworker who we were meeting for dinner. We went to Andante, a well-known Italian restaurant in Chelan. Surprisingly, it was very quiet; even though the sushi restaurant we tried to go to first was absolutely packed! The food was delicious, and the company was divine. We split the Antipasto plate, a bottle of Italian red wine, a Sangiovese, if I remember correctly. 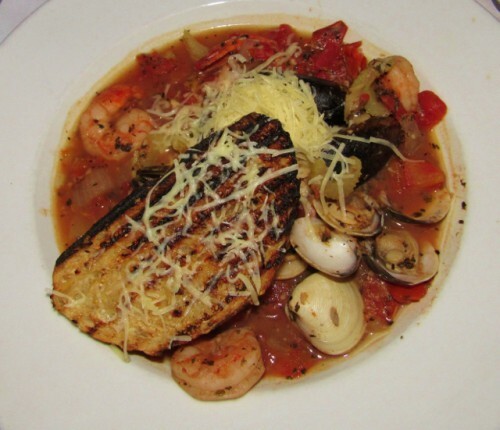 I had the Tuscan Seafood Stew for my entrée, with prawns, scallops, cod, clams and mussels in a base of fresh garlic, celery, parsley, onion, and tomatoes with white wine and stock. It was served with a grilled baguette. It wasn’t heavy, and really hit the spot. 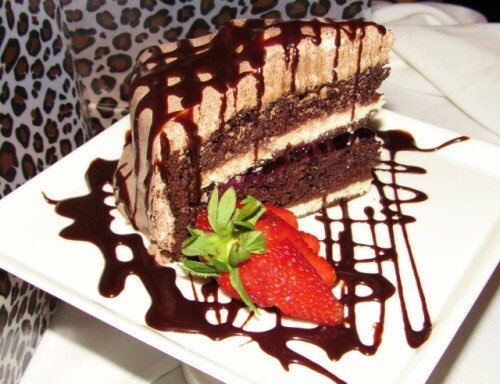 Dessert was a rich, chocolate cake. Wow. And the five of us laughed and caught up – it was a fabulous evening, and a great end to a wonderful day. Some long busy weeks have meant I’m behind on posting! 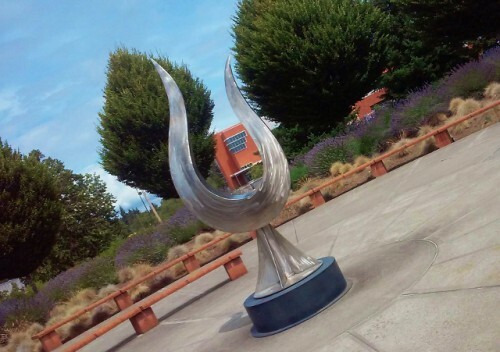 Here’s a midweek pick-me-up, an artsy photo of the lavender in full bloom at work. The temperature here on the Washington coast is back up. At 8 pm, it is still 81 degrees! Plus I was foolish enough to spend the day loading a couple of pick up truck loads of branches and other yard debris, the latest results of our attempts to clean up our overgrown woodsy yard. All that sweating calls for some Pinot Noir! I opened the 2011 Anam Cara Pinot Noir – Nicholas Estate. 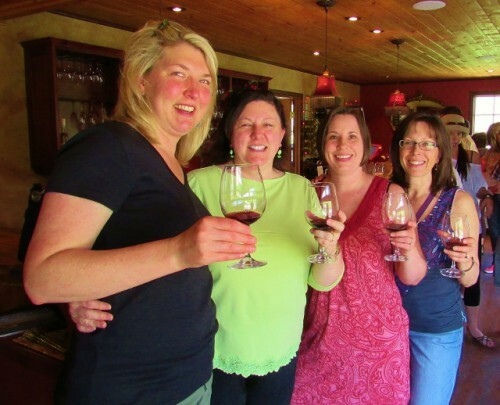 Anam Cara is a relative newcomer to the Willamette Valley wine world, after owners Nick and Sheila moved to Newberg, Oregon from Napa in 2001. Anam Cara means “friend of my soul” in Celtic, and represents the friendships that transcend time and place, as well as the long journey the couple made in order to reach their winemaking dreams. We met Sheila when we were down in the Willamette Valley in February, upon the recommendation of another server. The tasting room is just off the main street, and warm and inviting. The wine is fabulous. In addition to Pinot, Anam Cara also makes Riesling, Gewürztraminer and Chardonnay. The 2011 Nicholas Estate Pinot Noir is made from a blend of all five original blocks of their Nicholas Estate Vineyard in the Chehalem Mountains AVA. It is aged in 21% new French oak, 8% once filled French oak, and the remainder neutral oak. The wine is a beautiful garnet color, with aromas of spice and blackberry. On the palate, it has wonderful flavors of strawberry, blackberry, and white pepper. The light tannins have mellowed with age. 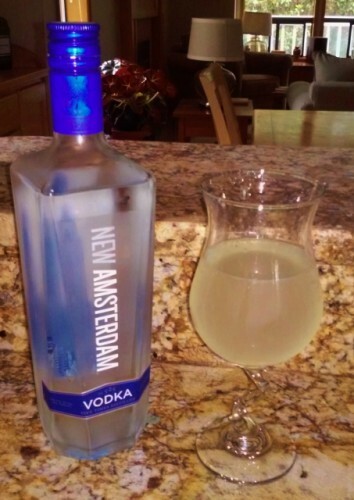 It is a great summer sipper, perfect for relaxing after a hot day’s work. Have you had any of Anam Cara’s wines? Cheers! What do you get when you write a novel from a pre-teen boy’s perspective? Lots of bike riding, baseball, as well as a few monsters and some magic thrown in for good mystery. That wrapped up with a murder mystery makes for a pretty good story. I purchased Boy’s Life years ago from the Barnes and Noble clearance rack. 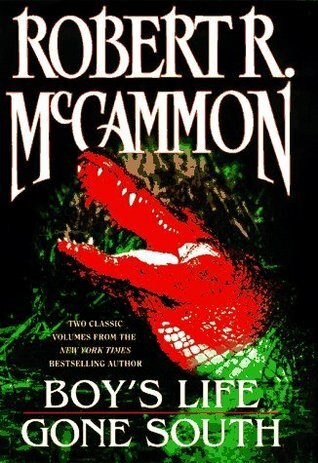 The book actually contained two novels from the same author, Robert McCammon. For some reason (well, I know the reason – it is because I love to buy books and have so many that it is hard to get to them all!) I had never actually read either of the novels that came in this book. Until now. For some reason a couple of weeks ago I was looking for a book to read and this one said it was time. The book tells the story of growing up in small town Alabama in the 1960s, from the perspective of an 11 year old boy, Cory Mackenson. He spends his days with the usual 11 year old issues, domineering teachers, schoolyard bullies, and finding time to hang out with your buddies. Throw in some monsters and magic and you make for a complete childhood. Cory has an active imagination, and uses it to create complex, whimsical stories to entertain his friends and begin an exploration of a career in writing. However, like any small town, its residents have their share of hardships, further compounded by the local version of a crime boss, and the typical tensions between white and black citizens in the Civil Rights Era South. If that weren’t enough, early in the novel Cory and his father witness the disposal of a John Doe body in an old quarry-turned-lake. Despite law enforcement’s efforts at identifying the man and his killer, the lake gives up no secrets. And it haunts Cory and his father relentlessly. Although it seems like there are a lot of disconnected themes going on in the novel, the author weaves them together well, with humor and a sober reflection that seems difficult for an 11 year old. Somehow it works. It does require a suspension of disbelief at certain parts; made easier when you consider the narrator. Didn’t we all have a healthy belief in monsters and magic at that age? If I had to voice a gripe, it would be that you wouldn’t expect your average, small town, 11 year old to have witness so much death and destruction at such an early age. Apparently this Alabama town isn’t as sleepy as the ones I have encountered. This book won’t blow your mind, or make you ponder the meaning of life, but nevertheless, it is a riveting read that kept me guessing with its plot twists and turns. Although not the genre of novel I typically go for, it kept my interest the whole way – and that’s saying a lot considering that at about 470 pages, it is rather on the long side of novels. A worthwhile read from the bargain bin.